At some point in our lives, we will all need to undergo a dental procedure, whether it is as simple as a checkup and clean or as complex as the surgical removal of a damaged tooth. While almost nobody enjoys visiting the dentist, one in ten people in the U.S suffers from some form of extreme dental anxiety. One of the primary duties of a dental assistant is to make sure that patients are as comfortable as possible during the procedure. Helping patients with dental anxiety is part of that responsibility and one in ten of the patients that pass through any dental practice’s doors will need a little extra care in order to make it through their visit. 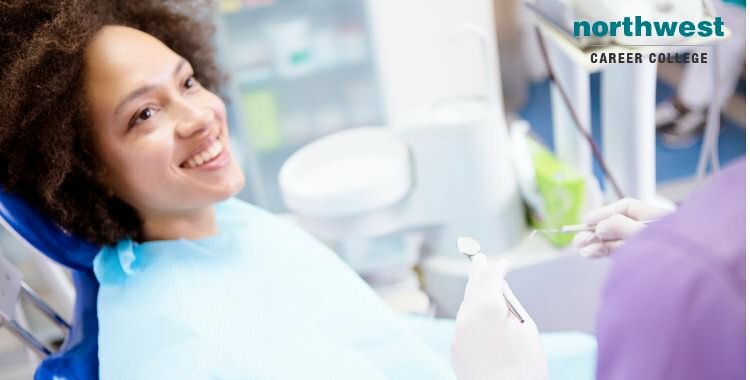 To help you help your more anxious patients, here are four ways you can help your patient calm during a dental procedure. Your efforts to keep your patient calm and happy should start as soon as they walk through the doors of your practice. Make the effort to turn your waiting room into a welcoming environment that helps them to stay calm. Introduce yourself as quickly as possible, so that the patient has an immediate point of contact, and ask them if they need anything as they wait. Giving an anxious patient something to keep their mind off the upcoming procedure is preferable than letting their anxiety built up as they wait. Patients are generally afraid of the unknown and the last things they want is a complete lack of communication until they led into an imposing room full of dental instruments and electric drills. Put your patient’s mind at ease by explaining the procedure in details, without using medical jargon, and let them know what they can expect and how long it should take. Most anxious patients will want to know how much their procedure will hurt. Be honest about what sort of pain they can expect. The fear of pain is often worse than the pain itself and let your patient know that a certain procedure than be a little uncomfortable will allow them to properly prepare for it. Most dental procedures are not conducive to clear communication. It’s hard to talk around the dentist’s hands and equipment. If your patient is anxious about their procedures let them know that you will be on hand at all times and that they can squeeze your hand or give you a certain hand signal if they are experiencing a significant amount of pain. The chances are that they won’t need to use this single, but it will put their mind at rest knowing that they can at least communicate with you. One of the best ways to keep your patient from becoming anxious is to keep their mind off the procedure all through. Engage them in conversation in a friendly and calming tone. Your patient most likely won’t be able to answer, but they will be listening to what you are saying and won’t be concentrating on what is going on in their mouth. If your patient has contacted you in advance to advise you that they suffer from dental anxiety, inquire if they want music played during their procedure. Music is a very effective way of calming an anxious patient and can be used to cover the sound of dental drills, which some patients find very distressing.